One of our most valued contributors, "Farmer," from Europe who has done so much for this site and Herb Peters' has launched his own blogspot and I urge all to regularly visit and join his discussions as well as those here. I am so grateful for his and for Rich of Medford's work. I have placed a link to it on the side of this site. You may continue to "stay tuned" by going there after leaving here! Turn about is fair play. I have been interviewed many times on Zeph Daniel's program. Today, he has agreed to be a guest on mine. The discussion should be lively. Like me, Zeph has friends and he has enemies. We will discuss both. Please join us at 5 p.m. Eastern Time, 2 p.m. Pacific Time. Stay tuned. Zeph Daniels' website may be found at http://www.zephnet.com. I expect things may quickly come to a head between Javier Solana and the Nation of France -- provided this is not all a mere part of "Armageddon Script" play acting! Recently divorced Nicolas Sarkozy is evidently sublimating by attempted Mediterranean power grabs. It will be fascinating to see who comes out on top. I suspect Solana is not happy about this, UNLESS, it was suggested that this might be a good way to create "crisis=opportunity" with this being the final straw to at last hand Javier Solana the full panoply of powers he has been long seeking. French president Nicolas Sarkozy has reiterated his plan to set up a Mediterranean Union, a loose grouping of countries bordering the Mediterranean Sea, in 2008 - a move that is likely to raise eyebrows in some parts of Europe. "I invite all the heads of state and government of countries bordering the Mediterranean to meet in France in June 2008 to lay the foundations of a political, economic and cultural union founded on the principles of strict equality", Mr Sarkozy said during his visit to Morocco on Tuesday (23 October). He added that "in the Mediterranean will be decided whether or not civilisations and religions will wage the most terrible of wars...whether or not the North and the South will clash".The idea of a Mediterranean Union is not a completely new one - it was floated by Mr Sarkozy leader during the French presidential campaign in spring of this year.Under the plans, the group should tie southern Europe with Northern Africa as well as Israel and its Arab neighbours and tackle topical issues such as counter-terrorism, immigration, energy, trade, water and sustainable development.However - after offering Turkey that it could be the backbone of the club - the project has been widely seen as another attempt to give Ankara an alternative for its bid for full EU membership. Mixed reactionsAccording to the European Commission, it is "good" to have initiatives promoting regional cooperation, however, they "should build on existing structures".There are fears that France's proposal would try to bypass the 12-year-old Barcelona process, designed to foster dialogue between the EU bloc and ten countries on the southern and eastern shores of the Mediterranean - Algeria, Egypt, Israel, Jordan, Lebanon, Morocco, Palestinian Authority, Syria, Tunisia and Turkey. Libya has observer status since 1999. "It is a successful process", the commission spokesperson said on Thursday (25 October), indicating the executive body will want more details on any new union. According to media reports, some EU capitals are also set to seek clarification of Mr Sarkozy's ideas, with a few even indicating it may be part of his efforts to push his own country's interests in the region.Only seven EU countries - Cyprus, Greece, France, Italy, Malta, Portugal and Spain - would be part of the new bloc, the rest would have a role of silent observer. In his speech in Morocco, Mr Sarkozy himself drew a rather blurry picture of the project. On the one hand, he called on Mediterranean people "to do the same thing, with the same goal and the same method" as the 27-nation EU bloc has done, but at the same time, he said it would not be based on the EU model. 1. There was a massive earthquake in Israel (on November 22, 1995). 2. Two days earlier, the European Union and Israel had signed a Treaty of Association. B. Mutually advantageous trading terms for partners in basin, leading to a Mediterranean Free Trade zone by 2010. C. Get the USA out of Mediterranean and/or greatly reduce its presence there. The desired treaty was achieved between the participating nations and the Barcelona Conference was concluded on November 28, 1995. As Richard Peterson (our Rich of Medford) so ably details in his blogspot, A Time, Times, and Half a Time", this was the launch also of the Alliance of Civilizations. When that first Barcelona Conference (1995) concluded, only two days later, Javier Solana was named the new head of NATO. This was to the utter astonishment of the Spanish press which noted that he had been the leader of the Spanish opposition to NATO. He had once authored a pamphlet, "50 Reasons to Say No to NATO." This morning I awoke after far too little sleep (I left my office very late this morning and had a grand total of 3 hours of sleep), and awoke. Since I couldn't sleep, I thought I might (as on November 22, 1995) check my email. There was a "Solana alert" in my email. It was about a reconfirmation of the Barcelona Process goal of the Mediterranean Free Trade by 2010. You may read what I read for yourself (hopefully, and be sure you archive it as you may never see it again!) by clicking here. "A time, times and half a time"? Deja vu? Stay tuned! 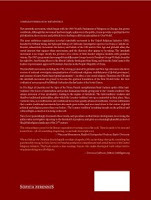 Click picture to see full US New & World Report full page! Do you find this as disturbing as I do? Why doesn't he just pose with Benjamin Creme promoting the new "Maitreya the Christ"? President Bush professes to be a Christian. The Dalai Lama is an aggressive promoter of the New World Religion and "Maitreya the Christ." I feel so very much tonight as I did early in the morning of November 22, 1995. I logged tonight after a busy day to view my email. I was greeted with a large Yahoo! headline of "EU leaders endorse reform treaty." There was nary a word about "the invisible man," "Javier Solana" who seems to be lying low through this process. But to those knowledgeable, the presence was clearly felt. "While it lacks the constitution's most contentious elements — such as EU flag and anthem — it will give its foreign and security affairs chief a seat on the EU executive Commission with control over the EU's multibillion dollar aid budget and its extensive network of diplomats and civil servants." As we know, this means JAVIER SOLANA, who has long since been the designate for this position. As far as Sarkozy, he now has public dissension for (1) his divorce; and (2) a looming national transportation strike. This should keep him and Bernard Kouchner more than busy -- surviving. The Daniel prophecies were that the "10 toes" of Daniel "would not cleave together" -- they would be partially strong and partially weak. However, there were equally clear prophecies, both in Daniel and in Revelation, that they would share power briefly with "the beast" and hand their power to the beast. It appears that these prophecies may well be in clear stages of fulfillment. It appears that Javier Solana may well be fulfilling them. Let's hope I am wrong for the sake of the soul of Javier Solana. 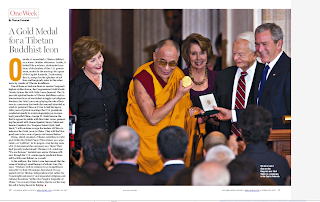 I am equally troubled this week by George W. Bush's participation in an interfaith service for the Dalai Lama. How does he ever square Tibetan Buddhism with the brand of Christianity he has so convincingly professed? The ultimate fate of those fulfilling those Daniel and Revelation prophecies is one I would never wish on anyone! I sincerely hope I have read too much into current events. JAVIER SOLANA AND BERNARD KOUCHNER OR JAVIER SOLANA VS. BERNARD KOUCHNER? Bernard Kouchner, Condoleezza Rice, and Javier Solana: together! WHAT'S GOING ON, WHAT'S GOING ON . . .
"THERE'S SOMETHING HAPPENING HERE -- WHAT IT IS AIN'T EXACTLY CLEAR"
Today the news is that the European foreign ministers (translate ‘Javier Solana’) have approved the deployment of a three thousand man army (3,000) to supplement a 26,000 “joint African Union – UN peacekeeping force” in Darfur. Interestingly, the spokesman for this as reported at least in Yahoo’s news service was French Foreign Minister Bernard Kouchner. Bernard Kouchner and Javier Solana have been fast friends for many years. Interestingly, Kouchner was the founder of Physicians without Borders. I strongly condemn the attack on the AMIS peacekeeping forces in Haskanita in Darfur and fully support the statement made earlier today by the Chairman of the Ceasefire Commission, General Martin Luther Agwai, in this regard. The attack is unjustifiable and constitutes a grave violation of the ceasefire agreement. It comes at a particularly sensitive moment shortly before the launch of renewed peace talks on Darfur and the transition from AMIS to the AU/UN hybrid operation, UNAMID. I urge all parties to act responsibly, to desist from acts of violence and to respect the ceasefire and focus on the upcoming peace talks". Now what is interesting to me is why Solana’s name is not appearing, as usually is the case, on the reports of this operation? Is he laying low? Has there been a coupe and Bernard Kouchner is the new czar of European foreign policy? If Solana is keeping a lowered media profile, why? Javier Solana was very publicly involved with the Darfur crisis in August of this year (2007). Read about that here. It was Darfur that Angelina Jolie and Javier Solana were discussing in their combo meeting/photo op on September 27th. FOREIGN MINISTER KOUCHNER: Yes. So there are three paths. There is the traditional, diplomatic path which we are following with contacts that are maintained and discussions that are underway. As far as the EU, of course, it's Javier Solana who is charge of this process. But there are many foreign affairs ministers who are talking with the Iranians, (inaudible), in particular. We are continuing to follow this path. And as Condi said, there is the path that goes through the Security Council of the United Nations. And we may hope that there will be a third resolution to reinforce the sanctions which, up until now, have not been very effective . . ."
Dr. Bernard Kouchner is an interesting individual in and of himself. He was described by former UN head Boutrous-Boutrous Ghali as being “an unguided missile.” He is known for very much being his own man. He surprised many recently by telling France that they should prepare for the possibility of war against Iran. Like Javier Solana and Germany’s Joschka Fischer, he is a tough and able member of the “Class of ’68.” CNN reported that he had a reputation for challenging convention and authority. Perhaps the strongest lesson though from Mr Kouchner's intervention is his underlining that the new administration in France is not a knee-jerk anti-American one -- and that France is in the business of reclaiming a role at the top diplomatic tables. If that account is accurate, it is conceivable that Javier Solana may perceive of his old friend Bernard Kouchner as a threat. On the other hand, he could also be a useful tool for letting the USA think they had more European support than is actually the case. Also, France’s role in this entire picture is intriguing. Benjamin Crème long boasted, since the late 1970’s, that his “Maitreya the Christ” would partially take a prominent role on the world stage with a fusion energy project. The EU in general and Javier Solana in particular has long taken a center spot in just such a global project with the ITER (rhymes with “bitter”) project with main equipment being located at Cadarache, France. That is also the site of France’s nuclear weapons production. Interestingly, one of their more euphoric predictions as well as those of the project's more pessimistic followers is that they will bring fire from heaven down upon earth! It is increasingly apparent to me that European nations have been handing as much power as they have to Dr. Solana to equalize themselves with the USA. If Kouchner is indeed going against the grain of this with the support of his Prime Minister Sarkozy, things evidently are not quite as cozy for Dr. Solana as he once assumed. Or maybe they are. Or maybe Sarkozy and Kouchner are now getting in the way. Or maybe they are all players in "The Armageddon Script." Time and events will tell. At any rate, the party is getting disturbing not to mention interesting. For my internet program listeners, and all are invited, John Loeffler, long time host of Steel on Steel, will be my guest tomorrow, October 16, 2007, on MY PERSPECTIVE, 5:00 p.m. Eastern Time, 2 p.m. Pacific time on http://www.themicroeffect.com/. Tune in and stay tuned! I don't know what went wrong with the transmission of my Karen Armstrong/Alliance of Civilizations/Share International article. The hyperlinks were missing on the NewswithViews transmission. Since I am on Eastern Time and they are on Pacific time there is a 3 hour time difference and needless to say, I could not phone those poor folk at 3:30 a.m. Pacific time and request a correction. Here is the story as published, WITH LINKS. I'm certain it will be corrected on the NWV edition later today. I decided it was time that I look in on the Alliance of Civilizations. Internet searching, I found a page on its UNAOC (United Nations Alliance of Civilizations) website. It was labeled “HLG Analysis.” I went there. The first thing I noticed was a fairly new article by Karen Armstrong. Karen Armstrong is a former nun who considers herself a first rate theologian as well as an analytical scholar of world religions. Many others have given her credit for this as well, including but not limited to Kofi Annan, the former Secretary General of the United Nations who appointed her as one of the High Level Group of Personalities to oversee and make recommendations for governments to regulate religious school curriculums globally. Since Karen Armstrong spent years, per her account, in a convent, “under a veil,” I expected her to have some basic grasp of at least Christianity. She is perhaps the most prominent face and voice of the HLG (High Level Group). Since Karen Armstrong holds herself out as an expert in comparative religion, I assumed that if she knew even 1/100th of what she is reported to know, that she should have had knowledge of what Share International is about. I decided to “google” for myself. I assume Karen Armstrong is also as Javier Solana accused fundamentalists of doing, “taking full advantage of the global village” and doing her own due diligence google/yahoo searches before lending her name and prestige to one cause or another. Doing my own google search on “Share International” I didn't have to look far. The top ten hits were all about “Maitreya the World Teacher.” You may read the top hit by clicking here. Well, maybe their New Age Christ repented and decided everybody should be baptized to protect them from his god Lucifer! Fat chance! Well, now I know for certain that Karen Armstrong is certainly both a superior reader and theologian to Yours Truly. I have read the Gospel of Luke many times and certainly missed the points that Karen Armstrong raised to Share International the purveyors of a very foreign gospel proclaiming that Jesus is not the Christ, but this “Maitreya”/Betraya or whatever his/its name is supposed to be is divine. May I disrespectfully guess that Karen Armstrong in her own inimical way is striving to fulfill the prophetic musings of Simeon? And then, also in the Gospel of Luke was the prophetess Anna, also finding the Baby Jesus in the temple. The law and the prophets lasted up until John. From that time the kingdom of God is proclaimed and every man presses into it. Well you get the point. The Book of Luke from start to finish clearly proclaims the Divinity of Jesus. Perhaps Karen Armstrong confused the statements about Jesus with the statements about John! Well, I’ve got to put a charitable interpretation on all of this. My most unkind observation is to say that since she left the convent, she has obviously made her divorce from Jesus very final. My charitable interpretation is maybe she, an ex-nun, just got out of the habit! Finally, maybe her knowledge is so specialized, she just plain doesn’t know. If Karen Armstrong needs a reading list of the Hidden Dangers of the folks she gave that Share International interview to, I could help! Well, now we must take Javier Solana more seriously than ever. The Hollywood P.C. ("politically correct) crowd now evidently thinks it important to genuflect to him. I note for the record that this was also the case with Jiddhu Krishnamurti in the 1930's. Here's a link where you can watch it for yourself by clicking here. An even better version may be watched by clicking here. Recently interviewed by Benjamin Crème's "Maitreya the Christ" Share International Magazine" operation! It's been a little while since I looked in on the Alliance of Civilizations. I decided to see what was happening with it today. 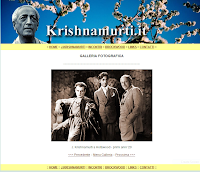 Searching, I found a page on its UNAOC (United Nations Alliance of Civilizations) website. It was labeled "HLG Analysis." I went there. The first thing I noticed was a fairly new article by Karen Armstrong. Karen Armstrong is a former nun who considers herself a first rate theologian as well as an analytical scholar of world religions. Many others have given her credit for this as well, including but not limited to Kofi Annan, the former Secretary General of the United Nations who appointed her as one of the High Level Group of Personalities to oversee and make recommendations for governments to regulate religious school curriculums globally. Since Karen Armstrong spent years, per her account, in a convent, "under a veil," I expected her to have some basic grasp of at least Christianity. She is perhaps the most prominent face and voice of the HLG (High Level Group). 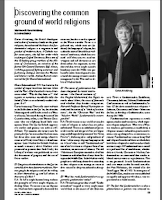 Karen Armstrong writes lots of articles and gives lots of interviews. What initially distinguished this one for me was to whom she gave it: SHARE INTERNATIONAL. Share International is the official publication of the "Christ is now here" crowd, specifically Benjamin Crème and his "Maitreya the Christ" company. Sometimes they, with permission, reprint articles from other sources. I looked carefully to see if this was perhaps the case here. It was not. The article was an interview specifically for SHARE INTERNATIONAL by Andrea Bistrich. I am now wondering out loud if Karen Armstrong knew that SHARE INTERNATIONAL was (1) about a new 'Christ' who was decidedly not Jesus (and probably not Jewish either) and (2) was the official organ for a group officially seeking a "New World Religion." About the gradual emergence of Maitreya, the World Teacher and the Masters of Wisdom. "American Christian fundamentalists are not in favour of democracy; and it is true that many of the Neo-cons many of whom incline towards this fundamentalism, have very hard line, limited views." "The Arab-Israeli conflict has also become pivotal to Christian fundamentalists in the United States. The Christian Right believes that unless the Jews are in their land, fulfilling the ancient prophecies, Christ cannot return in glory in the Second Coming. So they are passionate Zionists, but this ideology is also anti-Semitic, because in the Last Days they believe that the Antichrist will massacre the Jews in the Holy Land if they do not accept baptism." Well, I'll concede she must be a much better researcher than Yours Truly. I have read thousands of books on these subjects over the 26 years that I have been reporting on New Age Movement developments and have yet to run across a belief that "the Antichrist will massacre the Jews in the Holy Land if they do not accept baptism." I'm sure she meant to say, "initiation." The New Agers of whom she has said nothing in expressing her views over various "fundamentalisms" have clearly written in so many of their books by so many of their prominent writers (Alice Bailey, Gina Cerminara, Benjamin Crème, Barbara Marx Hubbard, and David Spangler to name but a few) that there will be "the sword of cleavage" and death to those who fail to accept their New Age "Christ." "Luke's gospel calls Jesus a prophet from start to finish; the idea that Jesus was divine was a later development, often misunderstood by Christians." Well, now I know for certain that Karen Armstrong is certainly both a superior reader and theologian to Yours Truly. I have read the Gospel of Luke many times and certainly missed the points that Karen Armstrong raised to Share International the purveyors of a very foreign gospel proclaiming that Jesus is not the Christ, but this "Maitreya"/Betraya or whatever his/its name is supposed to be is divine. May I disrespectfully guess that Karen Armstrong in her own inimical way is striving to fulfill the prophetic musings of Simeon? And then, also in the Gospel of Luke was the prophetess Anna, also finding the Baby Jesus in the temple. Well, I've got to put a charitable interpretation on all of this. My most unkind observation is to say that since she left the convent, she has obviously made her divorce from Jesus very final. My charitable interpretation is maybe she just got out of the habit! Pun intended. And, maybe if Karen Armstrong needs a reading list of the Hidden Dangers of the folks she gave that Share International interview to, I could help. I had so much response to Saturday's TheMicroEffect.com program with author Lee Penn that I have asked him and he has agreed to join me for my premiere week day program. The weekday programs will be rebroadcast on Saturdays as well and I plan to be available in the chatroom for the rebroadcast to answer questions about the content. The nice thing is that this will allow me to pay full attention to the chatroom, something I could not do while I was also talking on the air! Tomorrow will have much more focus on relationships with the Alliance of Civilizations, the plans of the Alliance of Civilizations to regulate religious school curriculums worldwide, and the definition of American Evangelicalism and fundamentalism as "dangerous extremism." I will be broadcasting live on Tuesday and Fridays, 2 p.m. to 3 p.m. Pacific Time, 5 p.m. to 6 p.m. Eastern Time and the rebroadcasts are planned by Joe McNeil to run on his badly needed days off -- on Saturdays. The chatroom is open 24/7! Thanks to all for listening and staying tuned! Our fare Saturday with author Lee Penn: UNITED RELIGIONS, ALLIANCE OF CIVILIZATIONS, THE GROWING CASHLESS SOCIETY. DON'T MISS THIS IMPORTANT WRITER WHO HAS WRITTEN ONE OF THE MOST COMPREHENSIVE BOOKS ON THE SUBJECT. ALL SUBSCRIBERS TO RICH OF MEDFORD'S BLOGSPOT, A TIME, TIMES AND HALF A TIME, WON'T WANT TO MISS THIS EITHER. SATURDAY, PACIFIC TIME 11 A.M. TO 2 P.M. EASTERN TIME 2 p.m. to 4 p.m. Tune in and stay tuned! IS JAVIER SOLANA BETWEEN A ROCK AND A HARD PLACE OVER KOSOVO? Javier Solana indeed appears to have a new potential migraine headache. The UN has said the EU must find "a new legal basis for independence from Kosovo. Serbia has a dilemma over it, too. They desire European Union membership. Read all about it here. Now, here's his dilemma. Javier Solana has wanted independence for Kosovo from Serbia (part of the former Yugoslavia) at least, as far as I can tell, since 1999. Russia has been opposed. Russia was also opposed to the Belgrade bombings, which were over the Kosovo issue, in 1999. The United States is for Kosovo independence. So, officially are Great Britain and France. Germany is hesitating. Now it turns out that Javier Solana's native Spain is also reluctant to go along with the scheme. Kosovo is to the Serbian Orthodox Church as Jerusalem is to the Jews; as Mecca is to the Moslems; as the Vatican City is to the Catholics; as Salt Lake City is to the Mormons, etc. Granting independence to Kosovo, also an important cultural center for the Serbs is both a painful cultural and religious wound to that country. Spain is fearful of granting Kosovo independence from Serbia, because it would set a dangerous precedent for its own separatists to demand their territorial independence. Hungary, Greece, Slovakia, Cyprus and Romania are reluctant to go along with that program for the same reason. On the other hand, economically devastated Serbia sees potential rehabilitation should it become part of the European Union. How will their stance on Kosovo independence potentially affect that? So what's Javier Solana going to do about it? It should be interesting to watch. Stay tuned!